This textile is 64 cm long and 114 cm wide. It is made of plain woven linen with wool tapestry weave inserts. It was made by Coptic Egyptians between the 9th and 12th centuries C.E. It is currently in the Textile Museum of Canada. 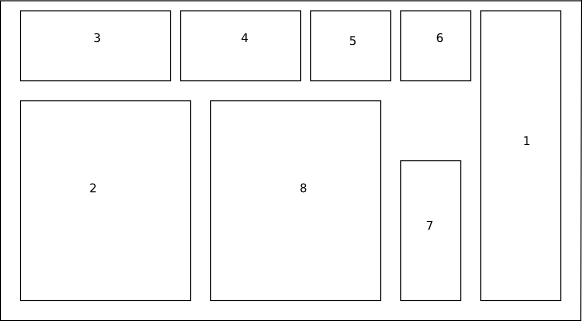 There is a zoom view available on the page. This textile is 105 cm long and 122 cm wide. It is wool, with tapestry woven inserts of bird decorations and thought to have been made between the 6th and 7th centuries. The bottoms of the tunic is fringed. The tunic is in the Textile Museum of Canada. The tunic has a zoom view available on the page. This tunic is 76.7 cm long and 112.3 cm wide. It is made of plain woven linen, with wool tapestry woven inserts and appliqué. It was thought to have been made between the 7th and 9th centuries. The tunic is currently in the Textile Museum of Canada. There is a zoom view available on the page. This hat is 13.3 cm long and 16.6 cm wide with a circumference of 44.5 cm at the bottom of the hat. It is made of plain woven linen between the 5th and 9th centuries. The bottom was thought to have ear flaps. It is currently in the Textile Museum of Canada. There is a zoom view of the hat on the page. This entry was posted in Uncategorized and tagged Coptic, Egypt, garb, tapestry weave, textiles. Do you know what sort of dye stuff would have been used to get the blue color on the second tunic and the hat? Looking at how dark the blue on the hat is, I would lean toward indigo. Very good insect repellent too! 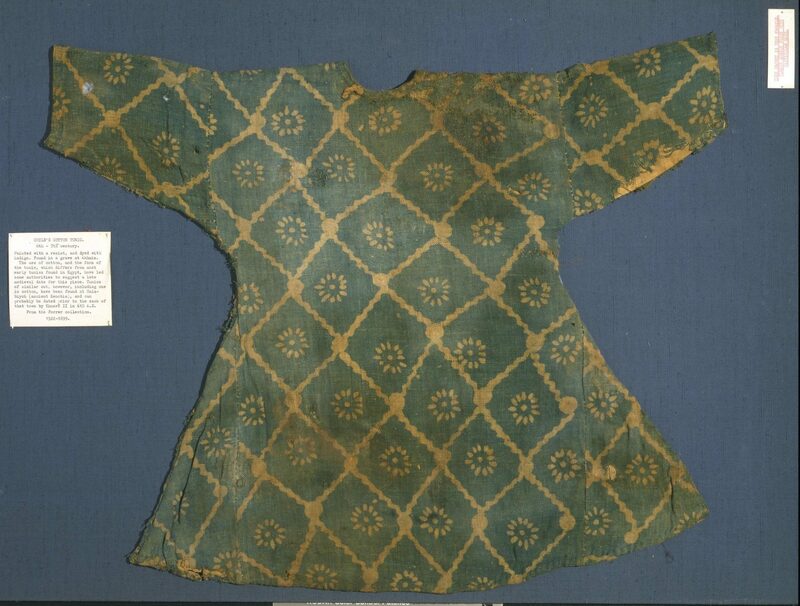 Lovely, preserved Coptic tunics and a hat presented in Miriam’s blog. Many years ago I visited the small town of Akhmim in southern Egypt, which has been the site of Coptic textile work for centuries. Most interesting and I wonder what has become of the families and their businesses. Their work was so outstanding.